My tree usually ends up upside down at some point either while putting it up or taking it down. The problem is usually it’s on top of me! Is this a trend you would consider? Happy Birthday to the founder of Motown and the one who gave us the Motown sound, the sound that changed America! 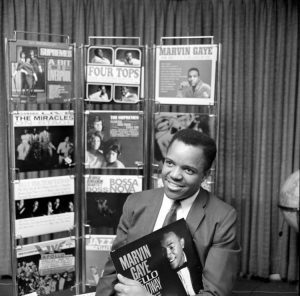 Berry Gordy once said “We stuck to who we were at Motown and the world came around”. The world is still coming around and the music lives on! Why Sponsor the Edge Music Series? 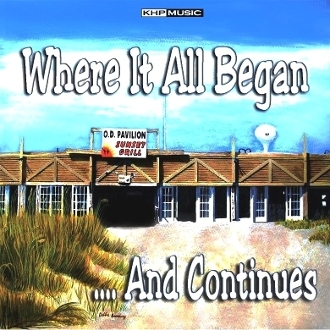 It has been several years since the best beach music bands played on a regular basis in Carolina Beach. 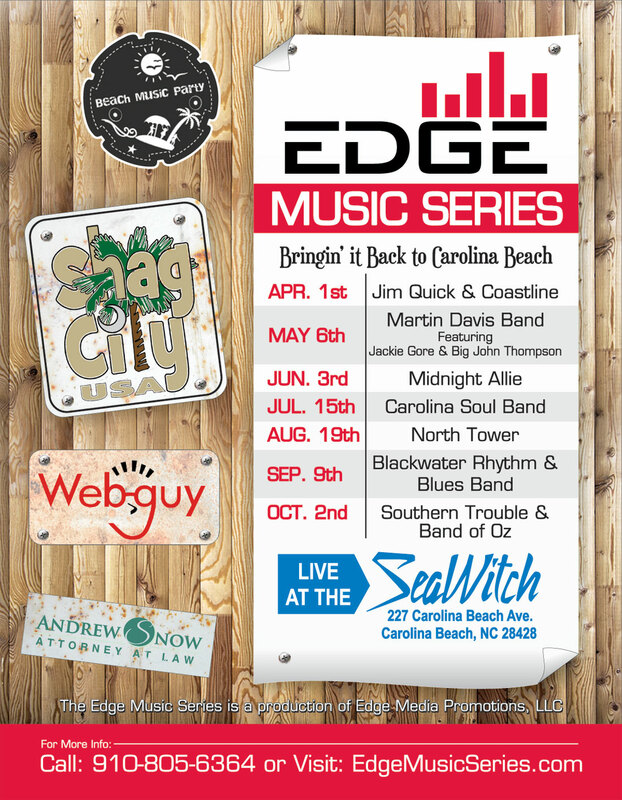 This year, we have worked hard to bring the best bands in Beach Music to the SeaWitch Tiki Bar for a series of performances called the “Edge Music Series”. We are offering sponsorships that include a lot of value and special perks. As of today, March 15th, there are 9 days left to get the maximum value of a Patron Sponsorship to show your support for Carolina Beach Music in Carolina Beach. The Edge Music Series Patron Sponsor will receive a pass card that gets you in to every event with no cover charge. In addition to entry, you get the benefits of EARLY ENTRY, exclusive VIP area with a bar, pre-show socials and sponsor discounts on food. This is just another way that Edge Entertainment is adding value on top of the quality selection of bands and the convenience of bringing those bands to you. Don’t Miss out! Become a Sponsor Today! As the title states, today’s show covered a variety of topics which I hope you found helpful or at the least humorous! I am still getting over the fact that ravioli was not paired with tomato sauce in the official pasta pairing guide. I guess that is just one more thing I will buck the system on….Long live Chef Boyardee! What I didn’t mention was that on this day 35 years ago the world lost John Lennon. A member of the most popular band of the 20th century, the Beatles were a major influence on American rock and roll and they took the United States by storm. Of the four, John Lennon was the most outspoken and along with that he became the most controversial. Regardless of the controversy, I am sure we can agree that he was a brilliant songwriter and was influential in the music world as we know it. The popular song written and performed by Lennon “Imagine” takes us on a journey to imagine what the world would be like without all of the things that divide us such as religion, money, possessions or borders, a place where mankind lived together in peace. Unfortunately, this place doesn’t physically exist, but that doesn’t mean you and I as individuals have to let religion, possessions, money or status bring division between ourselves and our fellow man. As much as people believe those things actually identify who you are in this life, at the end of the day the only things that really identify you are your name, your word and most of all your influence. Be it good or bad, that’s honestly all people will remember about you when you’re gone…think about it! Turtle tunnels? Yep, you read it right. During today’s show I told you about a Japanese railroad company that installed tunnels under the train tracks for turtles to cross safely. Sounds crazy huh? Well, given the fact that turtles were being killed by trains and trains were being delayed from turtles getting stuck in the track switches, something had to be done. The railroad company partnered with an animal park and together came up with a solution which was a turtle tunnel. This had never been done, nor was there a model to learn from. Now here is my point, this solution required thinking outside of the box! We should all look for ways to be creative and if necessary break from the status quo, in order to better ourselves and the world we live in. Remember… just because its never been done before doesn’t make it wrong. On this day in 1936 a man that would have a major impact on the music industry was born. The man was Lou Rawls. He began his singing career at an early age, welcomed adulthood as a soldier in the United States Army and survived a car crash that nearly took his life. He defied the odds and overcame obstacles to have a successful career in music as well as television. Although he passed in 2006, the contribution Lou Rawls made to music and to mankind will live forever. Thanks for being a part of the Cyber Monday edition of The Edge Radio Show! Hopefully, the tips I shared on protecting your identity were helpful or at least a welcomed reminder. Have a great afternoon and I look forward to spending another 3 hours with you Tuesday morning at 9 AM sharp!